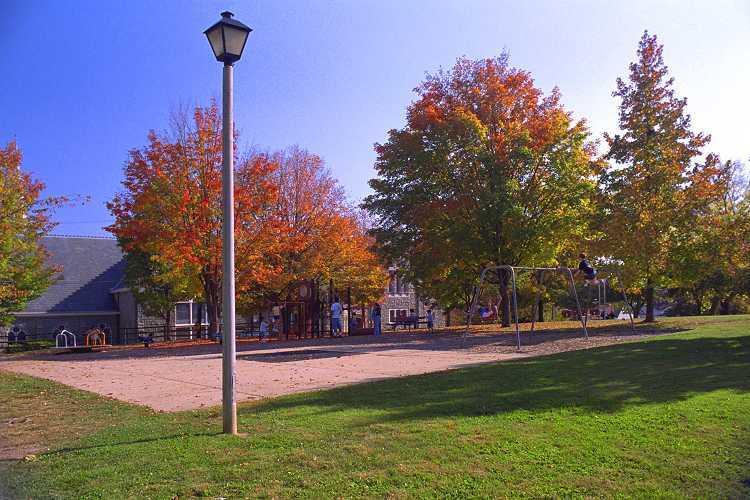 This delightful little park of 1.1 acres sits atop a hill next to the McGuffey Art Center at Second Street N.W. and Jefferson Street (location). In 1945, this land was donated by the City to the Charlottesville School Board; in 1974, the School Board gave the land and adjoining school back to the city as a gift to become the McGuffey Art Center and to form McGuffey Park. Park facilities include half-court basketball, playground and benches. Parking is available on the street. The park is open 6AM to 9PM.